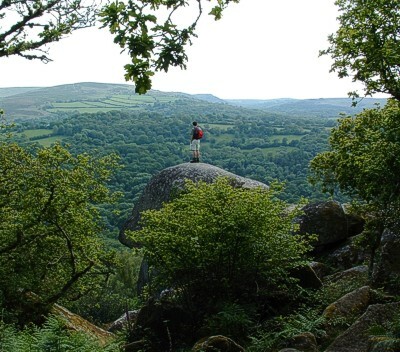 Dartmoor is a wilderness where you can find peace and solitude, and even in the height of the summer there are places you will see no one and only the sounds of the skylarks will accompany you. We are able to help you choose some quiet places to walk, cycle, wild swim or simply sit and admire the panoramic views. There are ample maps and guide books for you to borrow with routes for walks either from the house or further afield, by car. Cycle hire is available close by or perhaps you would like to experience the moor on horse back, which is also available within a few miles. A real treat is a ride in a horse and open carriage around the moorland lanes but this should be booked well in advance. There is bouldering, rock climbing, canoeing and letter boxing all possible around the area. The wild dramatic coast of South Devon is a match for any coastline around the British Isles and the coastal walks are magnificent and well worth the 40 minute drive if you have a day to spare. At Mitchelcroft we understand that not everyone is a seasoned walker with map and compass skills and navigation can be difficult, so we offer a 1 day wilderness experience with Michael, who is a qualified mountain leader. He can take you to Fox Tor Mire the setting for Grimpen Mire in Conan Doyles ’The Hound of the Baskervilles’, Ancient stone circles and monuments as well as some of the oldest oak woodlands in Europe. Good walking footwear and some waterproofs (yes, it does rain in Devon!) are all you need. We will provide a packed lunch and transport to and from the walk. 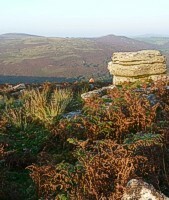 We will it tailor it to your interests be it archaeological, ornithological or simply to see Dartmoor at its wildest. 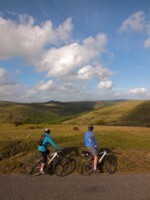 We have found many of our visitors enjoy being shown Dartmoor with the luxury of not having to drive. If you only have a day to visit why not sit back and let us take the strain while you look around at this beautiful area. Stop off for lunch at an old moorland Inn. The Itineraries are tailored to your own interests. If you’re fit they say you can cycle this in a day, Phew…..or you can do it over two days, OR, you can take your time and cycle it at leisure. We offer a transport and cycle back up for two or more people so you can start where you left off the day before. Prices for this tour are from £50 per day for two people (minimum) and a negotiated price for numbers of three or more people. Prices inclusive of packed lunch but not including accommodation. If this is of interest to you, please email us. Spirit of Adventure are an activity centre based in the heart of Dartmoor and they will tailor a day of activities for you to take part in. If you let us know what you require we can liaise with them and organise the activity for you.